If you are heading to Disneyland, you may be wanting to get those iconic pictures that will just scream “DISNEYLAND!” Some of the locations where you want these photos are easy (like in front of the castle). 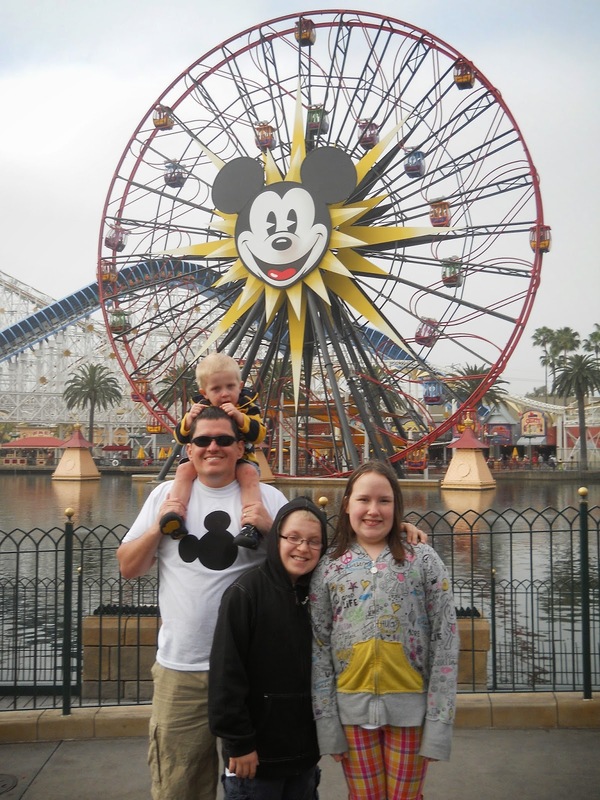 We are going to list a few of our favorite, iconic spots in both Disneyland and Disney California Adventure to take pictures. Be sure to take note, because you may find that there is a must capture spot you never thought of. Before we start listing, just wanted to note, that some of these locations have Disney Photopass Photographers. Here is a little tip– you can give the photopass photographer your camera as well, so you don’t have to buy a copy from Disney (or as a back up in case you lose your photopass card- true story right there). 1. How can we not start with the most iconic shot of all- Sleeping Beauty’s Castle. There are various locations you can get this picture. You can get it in front of the castle, or you can get one taken near the partners statue in the main street hub with the castle behind it. Either way, this is one of the most popular photo locations. Because of this it also almost always has a photopass photographer stationed there, so be sure to get the entire family in the picture. 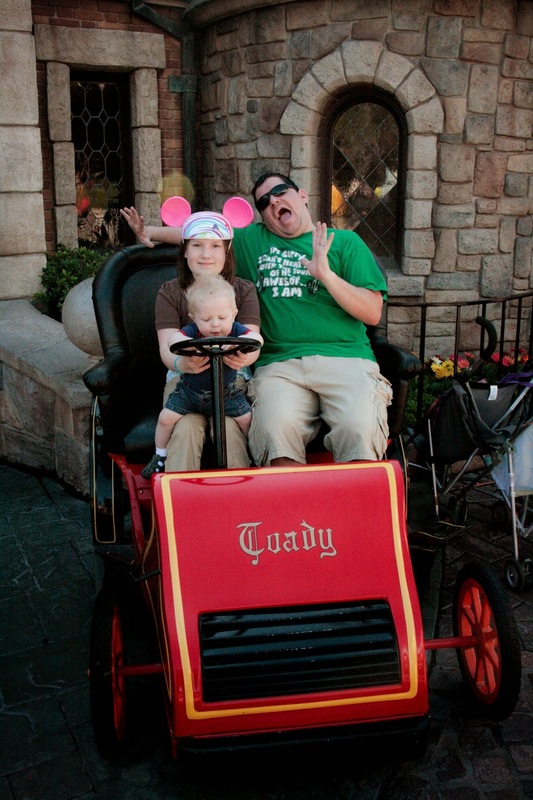 One of my favorite ways to get a shot with the castle though- in the back from Fantasyland, like the above shot. 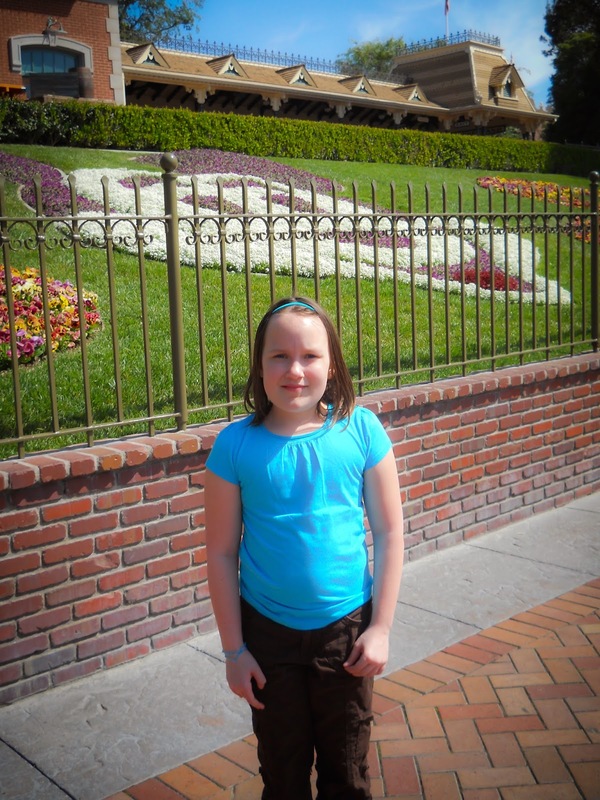 This one was actually taken while waiting in line for Peter Pan. I love the angle, and with it being close to sunset, it was just a gorgeous time of day. Edit: (Several readers have pointed out that the “statue of Walt and Mickey) is not on this list. That is because I included it with the castle shot. Cheating I know, but you try narrowing it down to 10 iconic photo spots. I probably could have listed 20 spots or more. 2. Mickey Mouse flower garden and Disneyland Railroad. This spot is iconic, but at the same time, can be easy to miss. Why? 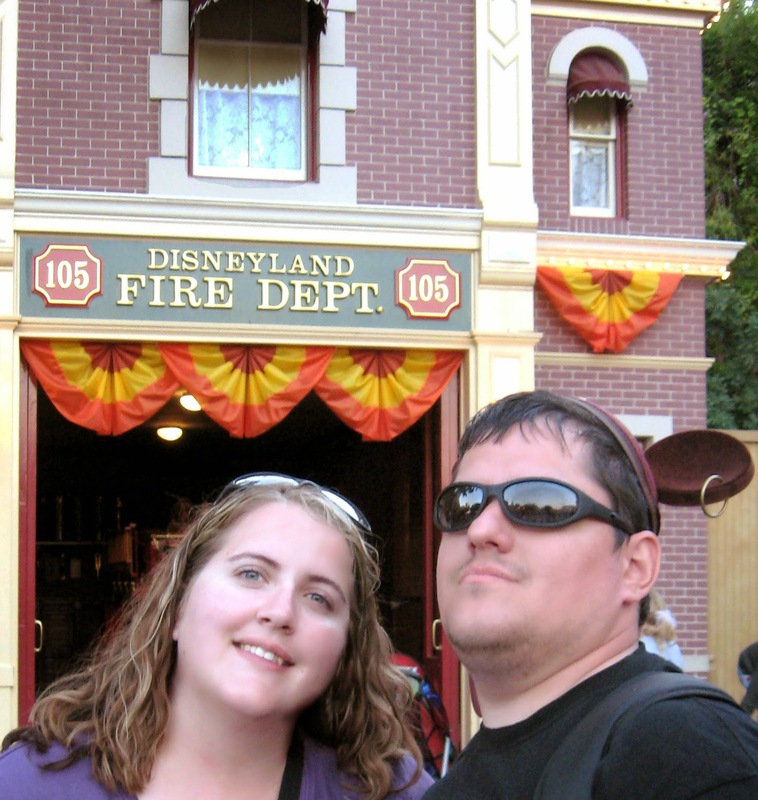 Because it is located just inside the turnstiles to enter Disneyland park. There is such a hustle and bustle, and movement towards the two tunnels to get to Main Street that it is easy to miss this photo-opp. Also, there is often a long line, and a challenge to get a straight on shot. If you really want the shot, but don’t want to wait in line. Go off to the side a bit and get a shot from an angle (like above). 3. With Mickey Mouse! 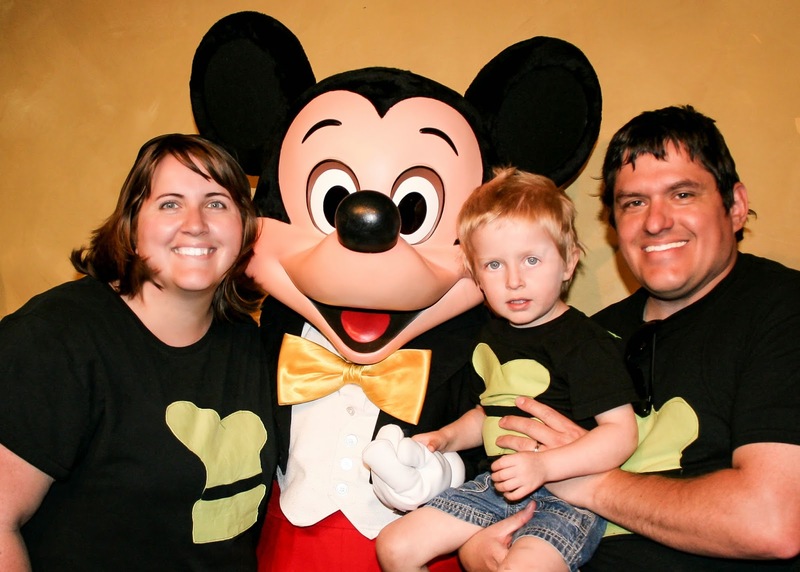 The best place to meet Mickey Mouse is usually at his house in ToonTown. No trip to Disneyland is quite complete without seeing Mickey at least one time. There are a lot of other characters you probably have on your “must meet list” as well. If so, you can find the best places to find them HERE. 4. 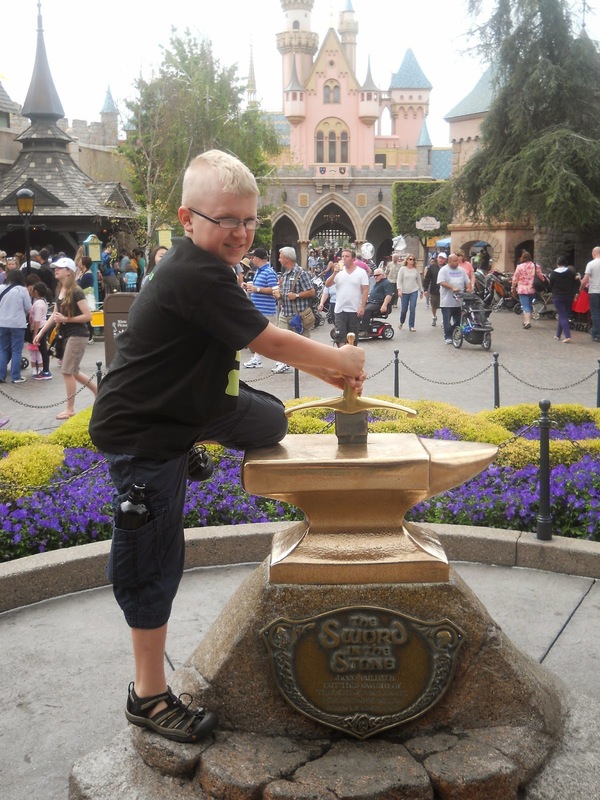 Pulling the sword from the stone in Fantasyland. This spot is located in front of King Arthur’s Carousel. Everyone needs a picture trying to pull the sword from the stone at least once in their life. You never know, you might actually get it to move…..
5. On Ride Cars. It might be Dumbo, the Tea Cups, or Mr Toad’s Wild Ride, but most people want a picture of their child in those ride cars. If you can’t get a picture on the actual ride, don’t worry. Most of the iconic rides, have a ride car/vehicle outside of the ride for photo opps. 6. Paradise Pier/Mickey’s Fun Wheel. This is one of the iconic shots in Disney California Adventure (DCA) You can get this shot from straight on, or from over at the bridge that leads to the main area of Paradise Pier (by Ariel’s Grotto). The bridge will often have a photopass photographer stationed there. This photo was taken early in the morning, so the crowds here were very low. It made for a great shot. 7. Cars Land. I could probably do an entire post about all the different photo locations in Cars Land, but for now, I will just list some of the locations. 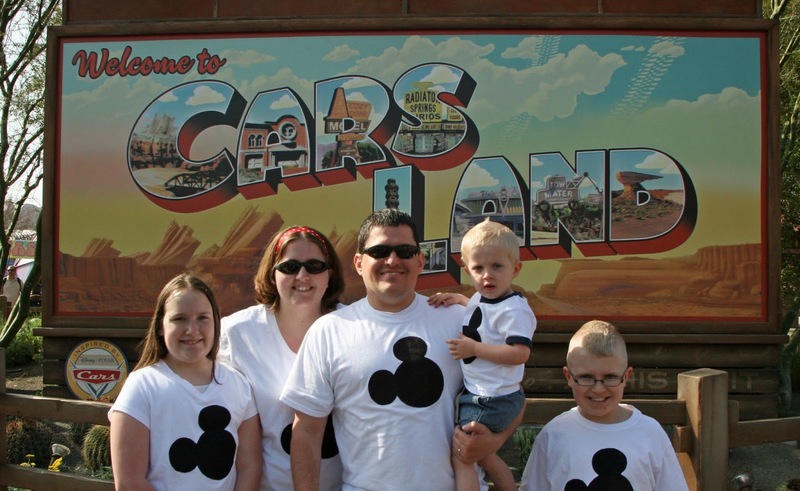 The Cars Land sign above is almost always staffed with a Photopass Photographer. Take advantage of this and get a group shot. Just pass this sign is a Radiator Springs Welcome Sign. There are also places like Flo’s and the Cozy Cone that are straight from the movie. One of my favorites is with the statue of Stanley, founder of Radiator Springs. Don’t forget to go and get a picture in front of Ornament Valley (behind Flo’s). 8. Buena Vista Street. There are a few great places to take pictures here. One is in front of Carthay Circle. The other is with DCA’s version of the Partner’s Statue. 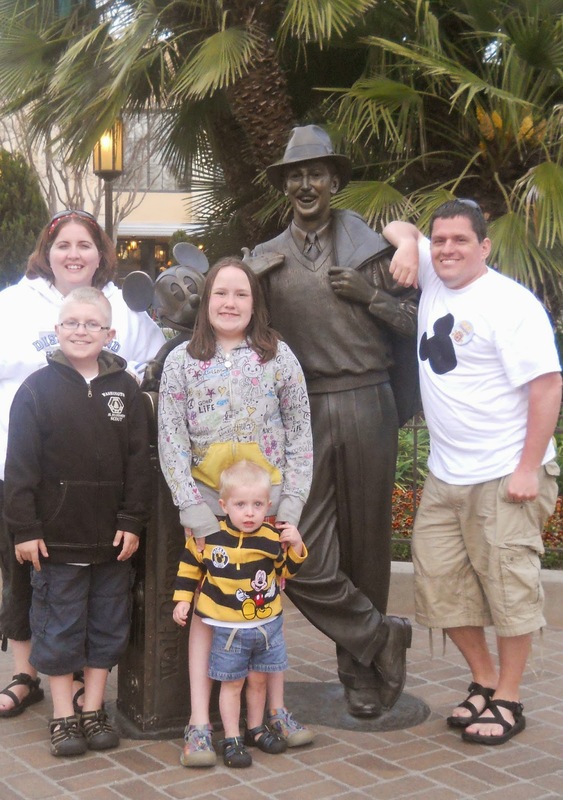 The statue is another location for photopass photographers, so take advantage and get the whole family in the shot. 9. Hollywood Land with the Hollywood backdrop. In Hollywood Land there is a what looks like a closed off street for a movie shoot. In reality, this is an example of forced perception as it is actually a painting on a wall. This is a fun place to take a picture. Up in the window, above the Fire Department is a lamp that is always on (hard to see in this picture but it is the only one on my computer here). This window is part of Walt’s apartment in the park, and the lamp burns to remind us that he is still here, inside the park. Are there any other spots that are on your list of iconic photo locations? Leave a comment letting me know. I had several I think could be on the list, but narrowing it down to 10 is hard. Don’t forget to check out THESE TIPS for capturing magical moments while in the park. My two cents: If you’re going to try and get the sword from the stone, then you also must try to lift the dumbbells and get out of jail in ToonTown. 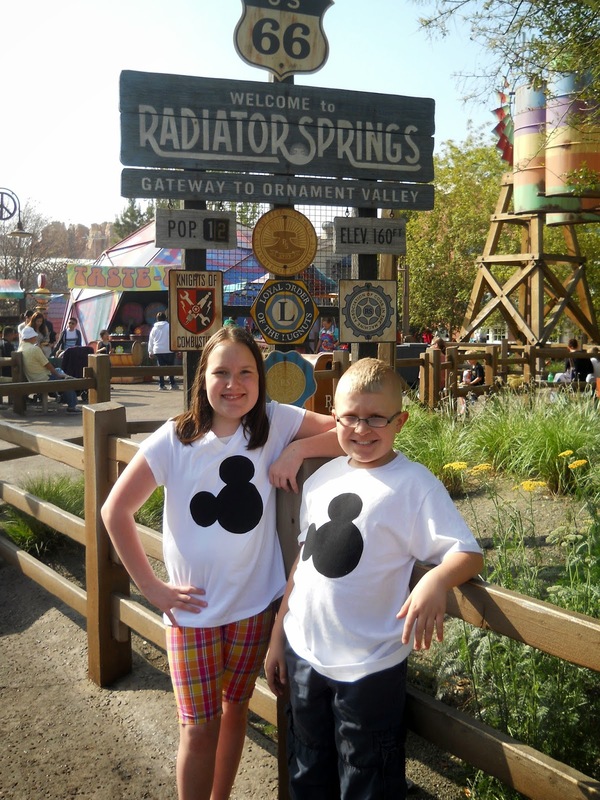 Those are near the Roger Rabbit ride, by one of the shops. Yes! I should have made it 11 and put all of ToonTown on the list. So many fun things there. Tip. Pick a spot or thing that doesn’t change and take a picture each trip of your kids. My girls like the White Rabbit’s door between Alice’s ride and the fantasyland Mad hatter shop. I know others have used the White Rabbit statue near the bathrooms. My Dh and I always get a picture in front of the waterfall on the backside of Grizzly peak. (across from Bug’sland) I made a request last year that our daughter and her new husband choose a spot to get an annual picture at. They chose the other side of Grizzly between the load station and the ride. Snow White’s wishing well needs to be on this list too!! There are so many that need to be on here….I should have done 20 or 25 locations. Such great photo spots! I love the photo of the Sword in the Stone with the castle in the background! What a great list. Now, I just need to GO to Disneyland!